Music was surprisingly popular in frontier Central Oregon, but it was not until 1880 that the first organized band was established by saloon owner Till Glaze. Glaze had come to Prineville from Polk County in 1878. He bought the Singer Saloon building from prominent local citizens George Barnes and Al Swartz. It was situated near where the old Pine Theater building is currently located in Prineville. Glaze was an accomplished musician and had learned to play the violin at an early age. After establishing his business, his next task was to organize the first band in Central Oregon in 1880. There were six members of the original band, and Glaze played a silver-plated horn known as a rotary coronet. Other members of the band included Prineville locals Lucien Gilbert, Starr Maley, Jim Hamilton, Mr. Vollrath, and drummer John Hunsaker. The band provided musical interludes to the otherwise drab frontier town. The band performed at local events such as parades and social gatherings, much to the delight of local inhabitants. The Glaze family was all musically inclined, including his wife, Ann, sons, Prince and Warren, and daughters, Dora and Margaret. Glaze operated the saloon and a livery stable for several years, then in 1885, built the first opera house in Central Oregon that became known as Glaze Hall. The hall served as the entertainment center for the interior of Oregon for many years. It was popular for dances, community affairs and Vaudeville acts with people traveling from far distances to attend. The band continued to be the center of festivities. Glaze also gave music lessons as well as serving as the band director. Glaze was killed in a shootout in a Burns saloon in 1894. The town band faded without his driving force. His son, Warren Glaze, formed the second town band in Central Oregon in 1898 when he called together friends to create a new band in Prineville and included drums and horns. The band broke up by 1903, and Warren then established the first town band in the growing community of Bend. 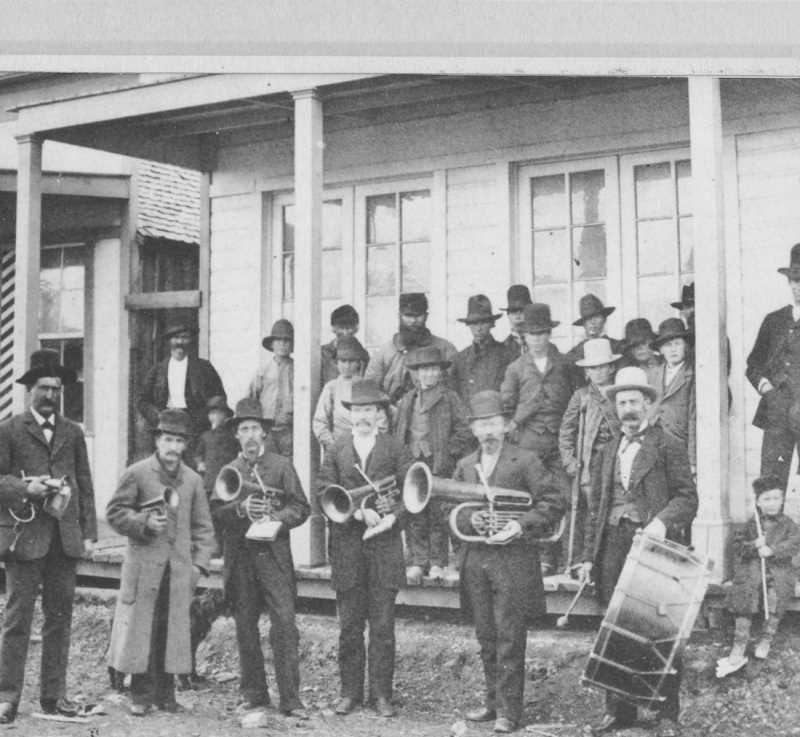 The first town band brought a cheerful spirit and musical tone to the early Prineville community and played an important role in developing the cultural awareness of early Central Oregon.